I couldn’t wait to read more and every spare moment I typed. Thank goodness for spell check. His letters were detailed. I could sense my father missed home but he also seemed happy which must have been a comfort to my grandmother. He explained proudly about the purchase of a camphorwood chest from a Chinaman. He described it in detail, the markings, the size and the cost. He had bargained for the first time and boasted at how cheap he had acquired his prize. I looked up from my typing and glanced at my shelf. 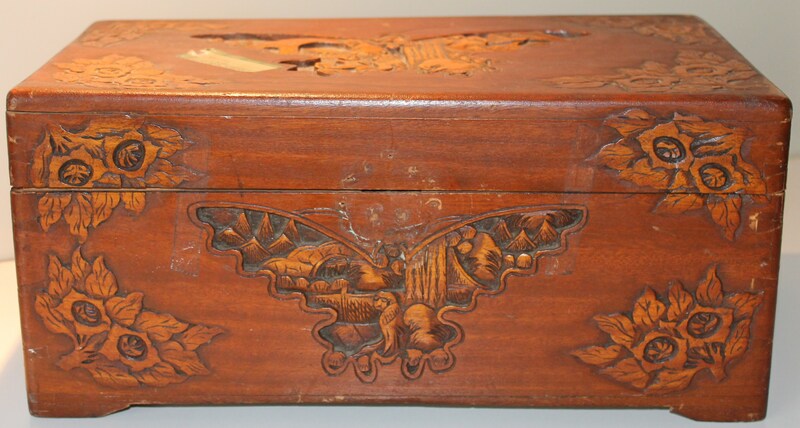 There was the camphorwood chest, holding letters and photos of a lost time. It was the same one. I was sure of it. This entry was posted in Writing and tagged family history on May 29, 2015 by S.C. Karakaltsas.